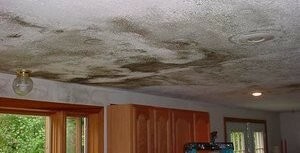 Unmitigated water damage has a tendency to create fungus growth, which is why our mold removal Brunswick techs at 911 Restoration of Cleveland are trained to repair both water issues and mold problems. Our IICRC certified mold removal Brunswick experts have a reputation for acting fast in these situations, as well as paying incredible attention to detail, two skills that are critical to every fungal infestation. When water is left to sit in the surfaces of your home for as little as 24 hours, mold spores can begin to develop and flourish throughout the household, but you can trust our mold removal Brunswick professionals to get your home back looking new. It is important to not let mold grow freely throughout the home, especially since there are different varieties of mold that can impose various threats to both the home and those living inside of it. Mold and fungus like to live in damp, dark places, such as air vents, crawlspaces, attics and basements, and we know exactly how to look in these areas to find the mold. Let us keep you safe from the harmful effects of spores, and call our mold removal Brunswick technicians today. It may seem overwhelming to suddenly be faced with a potentially harmful substance growing in your family home, but when you hire us, you can feel safe knowing that you have the most capable hands on the job. 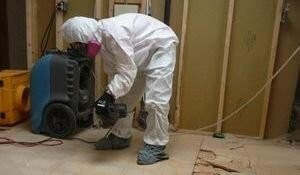 We have many years of experience eradicating fungus from homes that have been overrun with all different types of infestations, which have given our mold removal Brunswick specialists the skills to handle anything thrown our way. Our mold removal Brunswick pros want to be as accessible as possible to you in order to answer any questions you may have and put to rest all concerns that may be nagging you. This includes assisting you financially by offering affordable prices on all of our fungus extraction services, so call our mold removal Brunswick crew at 911 Restoration of Cleveland today!